Sincerely speaking, reaching an MTN customer care representative is hard, tedious and time consuming. If you have any problem with your MTN Nigeria simcard, one of the easiest ways to resolve it back then, was to go to the nearest MTN stores. But this is not anymore, because there are various ways you can reach an MTN customer representative faster, easier and get help quick. The truth is that MTN users are quite confused about the many data packages provided by MTN and may want to enquire into it. If you have any problem with the MTN Data plans, your call tariff plans, prepaid plans such as the mPulse plan, or you want to stop MTN data auto-renewals on your simcard, you can quickly get in touch with a customer representative and have this issue resolved quick. One of the most common issues faced by MTN users is opting out of all the irrelevant promotions and subscriptions messages mostly sent by this network. Here are the best five (5) methods you can use to reach MTN customer care support quicker. This is one of the strees-free methods you can quickly contact with an MTN representative, though you will still be put on hold for some minutes, and in few occassions, Hours by the computer before a representative will pick up your call. The only good thing is that it’s free. Dial 180 from your MTN line. If you’re calling outside the shores of Nigeria, call +2348031000180. Note: Take note that calling the 180 from your MTN line is free, the other option of calling from another network or calling from outside the country acquires normal call charges. 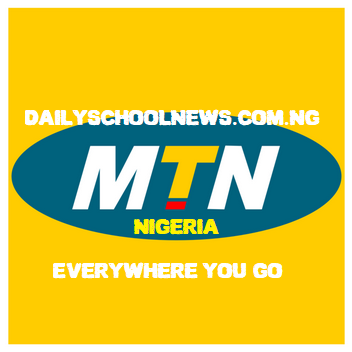 Another faster method to reach MTN Nigeria is through their official Facebook page. If you don’t have the time to call and be put on hold with music and automatic replies, you can just visit MTN Facebook page and drop them a message. Usually, a representative replies you within a few Minutes. Another of the quickest method you can get help or reach an MTN customer care support is through Twitter. You can easily tweet or send a Direct Message to their official Twitter account. MTN Nigeria operates two accounts, follow and DM @MTNNG or @MTN180. You will be receiving answers within a few minutes/hours. Another recommend option is going to the nearest MTN service centers. When you get to the mtn service centre, you get to see a representative and talk to them in person about your problems. MTN have so many numerous service centres across all 36 states of Nigeria. See the list here and addresses. Another platform you can get your complaint, inquiries and message to a customer care rep on MTN is through their feedback form. Click Here to fill the form and submit it to a representative working with the company. If you have any inquires that requires you to send the MTN support an Email, then you can reach them through their official email account. You should send them an email through their official Email address, customercare@mtnnigeria.net. I don’t know why, but if for any reason you decide that you want to rather send the MTN customer care headquaters a letter, here’s their post office address. If you have any questions, don’t hesitate to use the comment form below and reach out to us. The Dailyschoolnews Nigeria team will be happy to assist you.